Himalaya Organic Chyavanprash is a complex blend of organic and natural ingredients made from an age-old recipe based on ancient wisdom for antioxidant support, energy, and the general well-being of the entire family. Children and adults alike love the delicious taste of Himalaya Organic Chyavanprash because it is made with pure Organic forest honey, captured naturally from the forest canopy. One teaspoon twice daily or as needed. 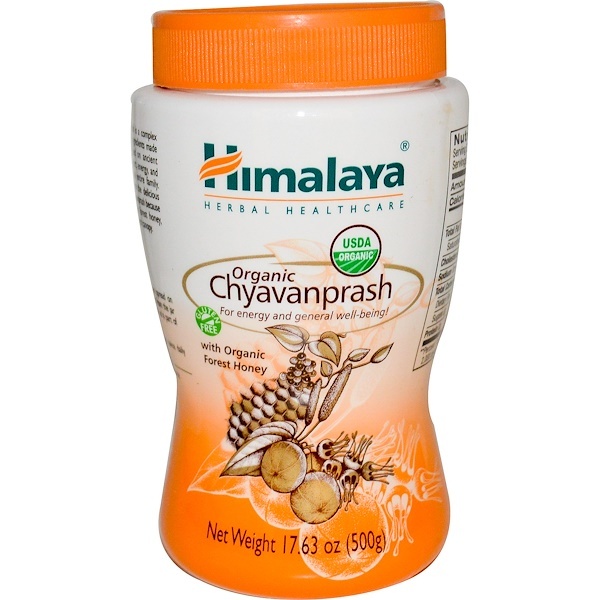 Pure and delicious, eat like a jam spread on bread, or take a teaspoon straight from the jar — you'll love having Chyavanprash as a part of your daily diet! Cane sugar+, amla fruit+, grape fruit+, forest honey+, mesua flower+, cardamom fruit+, long pepper fruit+, Indian cassia leaf+, cinnamon bark+, ghee [clarified butter (milk)]+, chebulic myrobalan fruit rind+, boerhavia root+, tribulus fruit+, vetiver root+, phyllanthus amarus whole plant+, Indian kudzu root+, cyperus root+, ashwagandha root+, blue wiss whole plant, Chinese pistachio gall, Indian elecampane root, uraria picta whole plant, spiked ginger lily rhizome, waterlily flower, martynia diandra stem, bamboo stem, leptadenia root+, heart-leaf-sida root+, sesame seed+, sarivan root+, arani whole plant+, malay bush beech bark+, fragrant padri tree whole plant+, yellow-fruit nightshade whole plant+, three-lobe-leaf cowpea whole plant+, solanum anguivi root+, shatavari root+, oroxylum bark+, malabar nut tree aerial part+, Indian tinospora stem+, bael tree bark+. 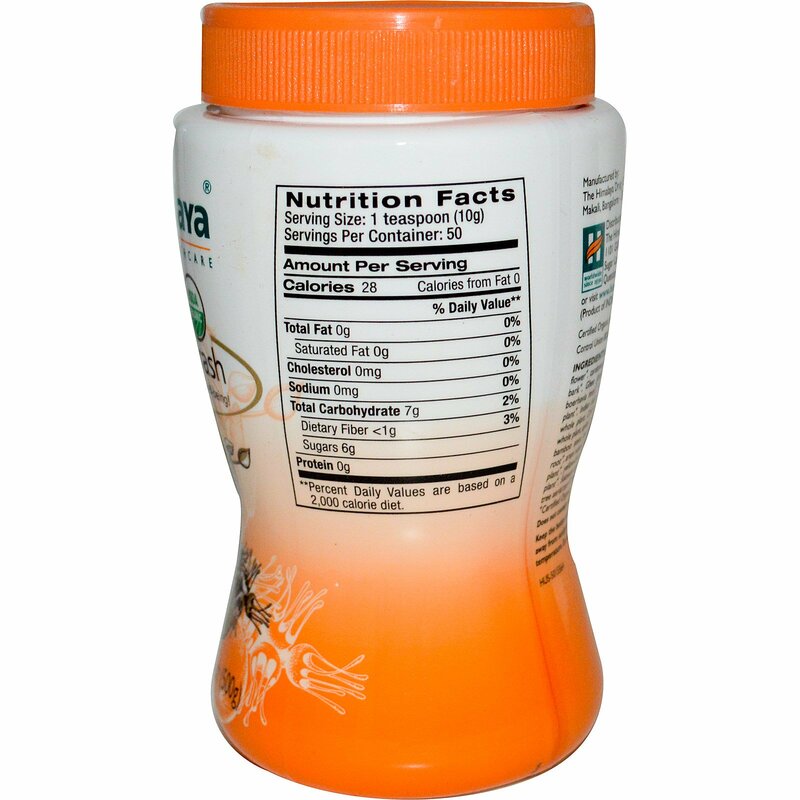 Does not contain wheat, soy, egg, tree nuts, peanuts, fish or shellfish. Keep the bottle closed at all times except when in use. Keep the product away from sunlight and store in a cool dry place. Store at room temperature. Do not freeze. Keep away from reach of children.